Muhammad Ali died Friday at age 74, according to a spokesman for his family. He was hospitalized in the Phoenix area with respiratory problems earlier this week, and his children had flown in from around the country. 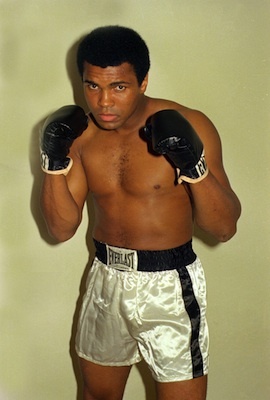 Family spokesman Bob Gunnell said Ali, who had Parkinson's disease, died of septic shock. While it's not clear exactly what transpired with Ali, people with late-stage Parkinson's often have difficulty swallowing. Food and liquid landing in the lungs can lead to pneumonia or a chest infection that could cause sepsis, a bloodstream infection. 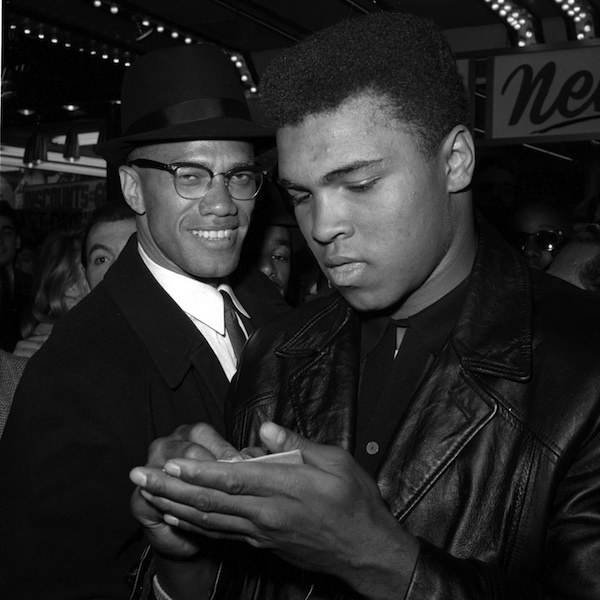 Photo: World heavyweight boxing champion, Muhammad Ali, right, is shown with Black Muslim Leader, Malcolm X, outside the Trans-Lux Newsreel Theater in New York City, after watching a screening of films on Ali's title fight with Sonny Liston in Miami Beach March 1, 1964. 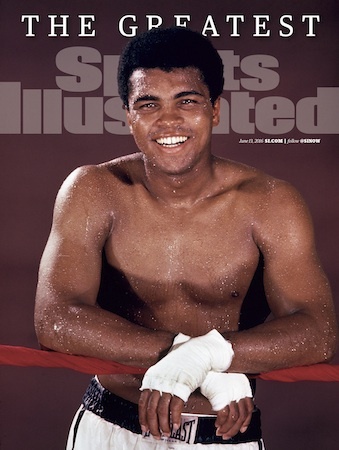 Ali, the magnificent heavyweight champion whose fast fists and irrepressible personality transcended sports and captivated the world, has died according to a statement released by his family Friday, June 3, 2016. He was 74. (AP Photo)A funeral will be held in his hometown of Louisville, Kentucky. The city held a memorial service Saturday. "People naturally are going to be sad to see the effects of his disease," Hana Ali said when he turned 65. "But if they could really see him in the calm of his everyday life, they would not be sorry for him. He's at complete peace, and he's here learning a greater lesson." Ali once calculated he had taken 29,000 punches to the head and made $57 million in his pro career, but the effect of the punches lingered long after most of the money was gone. 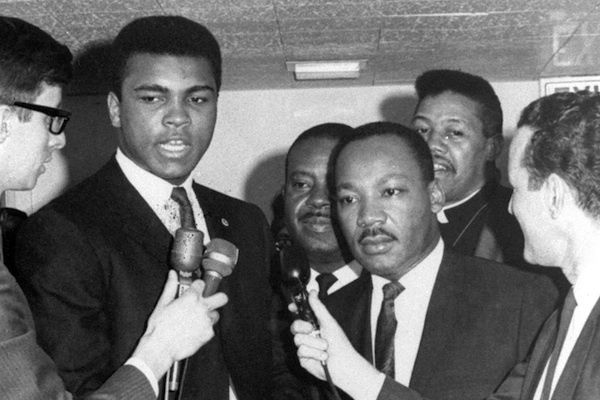 That didn't stop him from traveling tirelessly to promote Islam, meet with world leaders and champion legislation dubbed the Muhammad Ali Boxing Reform Act. While slowed in recent years, he still managed to make numerous appearances, including a trip to the 2012 London Olympics. As a Baptist youth he spent much of his time outside the ring reading the Bible. From now on, he would be known as Muhammad Ali and his book of choice would be the Quran. 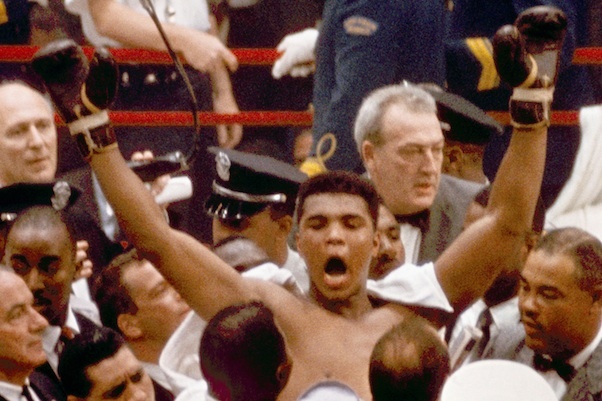 "Thrilla in Manila" on Oct. 1, 1975, in the Philippines, a brutal bout that Ali said afterward was "the closest thing to dying" he had experienced. Saddam Hussein and returned to the United States with 15 Americans who had been held hostage.